The next six weeks will be filled with parties, concerts and events. Some of them are obligatory — you may not want to attend your office party but must show up with a smile on your face. But you may be looking forward to your child’s concert at school and annual soirees with friends. Many people consider this period of time at work to be unproductive. Between late-night parties, holiday lunches and gift-swapping in the office, most are not focusing as intently on the business. In fact, many business people consider this period of time to be pretty unproductive. Unless you do not plan on showing up between Thanksgiving and New Years, there is still work that needs attending to although, admittedly, your work load may be lighter. Your firm’s 2015 business plans have been completed and are ready for action starting in January. With fewer of your colleagues in the office, there are fewer meetings, fewer reports due and fewer tasks that require your immediate attention. Clients may be on vacation or spending less time in the office so they may be less demanding. You have a choice. You can “float” through this period and pay minimal attention to work or decide that you’ll use this down time productively. There are a host of opportunities available. It is just a matter of deciding if you want to take this course of action. Why not? Think of the projects that you have put off because you have not had the time. This is your chance to get to them. Some of these projects can help you reach your goals. By starting them now, you will likely have fewer interruptions and a greater chance to complete them than during the year when more urgent tasks and to-dos come up and derail you. What are examples of projects that you may want to tackle now? How about researching an area that may prove profitable for your company? How about exploring new ideas? You have a list but you never have time to explore them. Or perhaps you want to learn a skill that will improve your performance at work such as the task feature in Microsoft Outlook or how to use Evernote. It is frustrating not to know these features but, without the time to explore the tasks function or how to navigate Evernote, you have had to make do. Here is the opportunity you have been waiting for all year. Taking a class at a school or an on-line video tutorial from a company such as Lynda.com requires time, energy and focus … and now you have it! I would be remiss if I did not mention that this is a perfect time to get organized. If your office is piled high with paper, why not go through the stacks and decide if you can live without some of them. Most likely the answer is a resounding ‘yes’! Our clients often print out duplicates of documents because they can not find it on their desk (even though they know it’s there somewhere). Their first response is to reprint it. Ask yourself if you need it or would be able to get it again. Probably not although there are still a few documents that we need to hold onto. Often there are legal papers such as contracts. If another person in the company issued the document, then it’s likely that person will have the original copy. If you need to keep a document, decide where its home should be — on your desk (if you are actively working on it), in a filing cabinet, on your computer as an electronic file? Once the paper clutter is reined in, it’s time to focus on the electronic clutter which may be more serious than the paper clutter. If files are scattered about without any rhyme or reason, take time now to figure out where each document belongs. Once the new year begins, this project will unlikely take precedence over urgent ones. 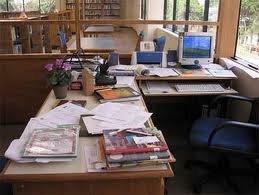 While you are organizing your office, there may be other things that you can do to improve its functionality. What tools might make it easier to stay organized — a whiteboard for mapping, wall files that can keep your folders handy, a second monitor? You might take a look around the office for ideas or browse the The Container Store or an office supply store. You could even ask your colleagues what organizing tools they like the best. Have I convinced you yet to take advantage of this holiday time to do something different and still stay productive? Without having to spend all of your time on urgent, important projects, you can focus on other areas in your work and professional life that are also meaningful. How quickly can you find an electronic file? Are your files scattered throughout the computer in any number of places such as the hard drive, documents, the cloud or portable storage? 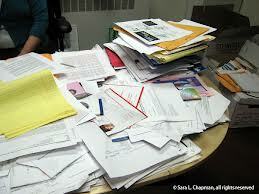 Electronic folders that are not filed in their right locations can be just as messy and cluttered as paper folders. So much of what we do today is electronic that we need a plan to organize electronic files similar to the way we organize paper files. While many offices still rely on paper to some extent, we are gradually moving away from paper to storing documents electronically which is a compelling reason to set up a system to organize electronic file folders. Saves you time when you can find what you need quickly and easily, even years later. Helps you be more productive, and look more professional, especially when your boss needs a file now. 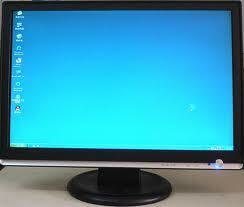 Keeps documents current because the system identifies which documents can be disposed of and when. Saves physical storage space and money by reducing the number of filing cabinets and office floor space needed. Uses your time more efficiently by reducing the time you, or an assistant, spends retrieving and re-filing physical records. Team members can access shared folders and find what they need quickly, without interrupting anyone. Document ownership is easy to determine. Fewer copies of documents need to be printed as long as you, and the other team members, can access the document easily on line. Less printing = less paper clutter. It is easy to edit a document and share it with others. New employees can be brought up to speed quickly. Make sure that the electronic filing system meets the needs of the office, that all documents have a place in the system and that everyone understands and buys into the system. Create a flow chart (electronic or paper) showing the type of information that will be available and the departments or people needing access to specific files. Set up a system everyone will be comfortable with and will use. Mirror your paper folders using the same headings and topics as your paper system. The more similar the two systems, the better. Be consistent about naming conventions. Set up files, folders and subfolders that everyone will find meaningful and easy to understand. Limit the number of clicks to three: file, folder and subfolder. There is no need to go any deeper. Note: whatever filing name system you choose, it needs to match your needs and/or the group’s needs. Subfolders: Descriptive topic names such as communication, contact information, taxes by year, etc. 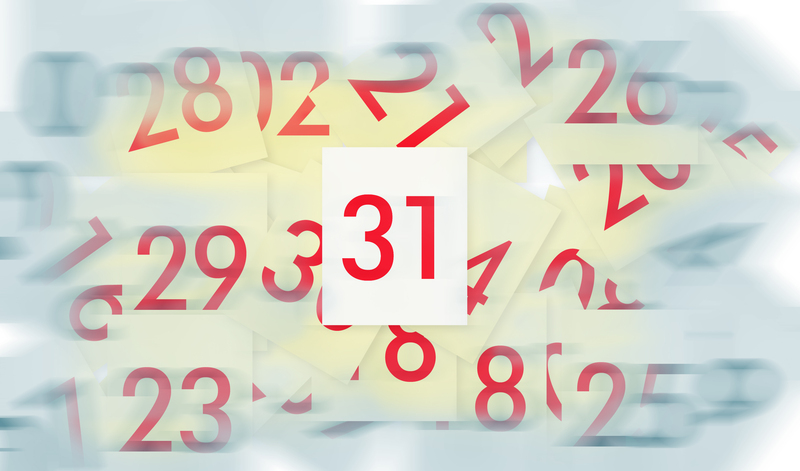 Follow file naming conventions including client account numbers and revision date. Use underscores, not spaces. For example, an individual client name may look like this: tomjones_3579_11-30-14. Keep file names under 27 characters, all lower case. Use the same format for dates. The key is to be consistent. If others also work on the document, add your initials at the end. Avoid abbreviations and codes that are not immediately obvious to everyone. Set up an index for quick reference, particularly if you use shortened versions of words such as DFT for draft or CTR for contract. Make sure that information is readily available to everyone with access to the file folders. If an abbreviation is not necessary, do not use it. Delete previous revisions once document is final. Create a records retention schedule based on function and date to ensure that outdated electronic documents are disposed of when they are no longer needed. Be ruthless about the documents you save. The more data on the computer the more difficult it is to find necessary documents. Move frequently-used files to the top of the file folder list by adding an “a” or ! (any symbol works) at the beginning of the file name. File as you go. Do not wait until you have a long list.